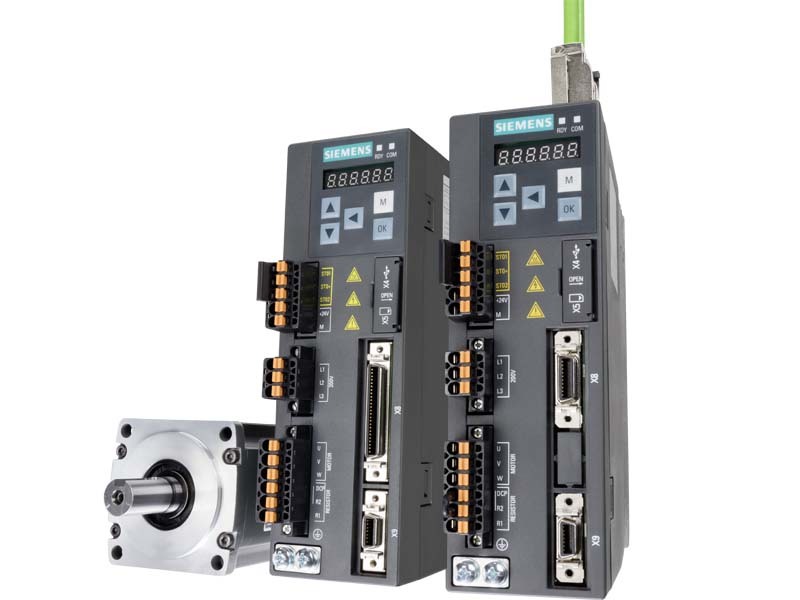 SINAMICS V90 is designed to meet general purpose servo drive applications. It is easy to commission the SINAMICS V90 servo drive system - essentially just plug & play. Further, it has optimized servo performance, can be quickly integrated into SIMATIC PLC control systems and has a high degree of reliability. SIMOTICS S-1FL6 servomotors are naturally cooled, permanent-magnet synchronous motors where the heat is dissipated through the motor surface.